For nearly a billion Christians, the weeks leading up to Easter are a time of fasting, solemn contemplation, and the giving up of certain luxuries and foods. Wednesday marks the beginning of Lent, a season on the liturgical calendar that represents a 40-day period, plus Sundays that are not counted. 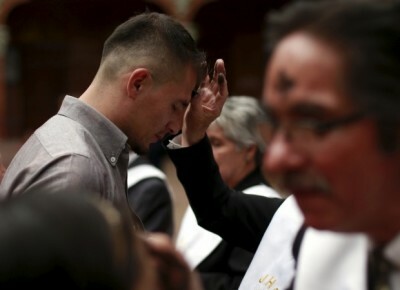 There are many traditions and customs associated with Lent. Some, like Ash Wednesday's ash cross on the forehead and Catholics not eating meat on Fridays, are fairly well known. Here are seven interesting facts about Lent. They include a ban on alleluia songs, a half-time celebration, and why many Protestants do not observe the season.